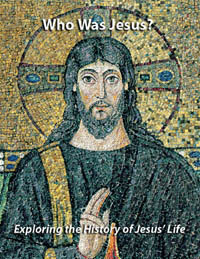 Learn about the history of Jesus’ life. Download Who Was Jesus? Exploring the History of Jesus’ Life and start receiving Bible History Daily — both absolutely free! Jesus is the central figure of Christianity, the world’s largest religion. As a teacher in first-century Galilee, he influenced thousands. Yet many questions today surround this enigmatic person. Where was he really born—Bethlehem or Nazareth? Did he marry? Is there evidence outside of the Bible that proves he actually walked the earth? 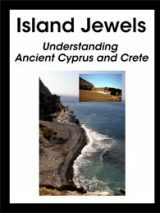 Drawn from articles in Biblical Archaeology Review and Bible Review, the Biblical Archaeology Society eBook Who Was Jesus? Exploring the History of Jesus’ Life examines the history of Jesus’ life, from where he was born, where he grew up and whether there is extra-Biblical evidence for his existence. Did Jesus of Nazareth really exist? What’s the evidence outside of the Bible? In “Did Jesus Exist? Searching for Evidence Beyond the Bible,” Lawrence Mykytiuk examines Classical and Jewish writings from the first several centuries C.E. These records give us a glimpse of the person who would become the central figure in Christianity mere decades after his crucifixion. Where was Jesus born? The Gospels of Matthew and Luke say that Jesus was born in Bethlehem. So why is he called a Nazorean and a Galilean throughout the New Testament? 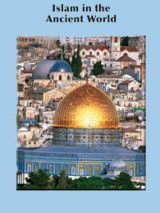 In “Jesus’ Birthplace and Jesus’ Home,” Philip J. King examines what the Bible actually says about Bethlehem, traditionally considered Jesus’ birthplace, and Nazareth, Jesus’ hometown. What was Nazareth like during Jesus’ time? In “Has Jesus’ Nazareth House Been Found?” Ken Dark describes the excavation of an intriguing first-century “courtyard house” that may have been revered as Jesus’ boyhood home in the Byzantine period. Other archaeological evidence suggests that Jesus’ Nazareth was larger and wealthier than previously thought. We’ll send you a link to download your copy of Who Was Jesus? Exploring the History of Jesus’ Life and offer you a FREE registration to the Bible History Daily newsletter, bringing the world of the Bible and archaeology directly to your inbox. Your FREE registration to Bible History Daily introduces you to community discussions on fascinating topics like the Dead Sea Scrolls, top Biblical archaeology discoveries, ancient Israel and Easter. i wanted to download the ebook but i didnt want the other stuff that came with it so i decided not to download it at this time, how come it wasnt offered by itself? (especially since its free). and please i ask that nobody come for me about my comments. When I mention ideas to say Baptists they get angry, specially , ie. Their Easter Sunday, Good Friday , Christmas beliefs…! As the American Standard Version says at Isaiah 42:8 I am Jehovah that is my name; and my glory I will not give to another, neither my praise to graven images. There are many titles that God has, but he only has on name. From Adeona to Zeus there are very many gods, all having names……..therefore it would be fitting that the creator of ALL things would have a name, and it is very well known that that name is Jehovah, and yet many religious leaders in the so called Christian world refuse to accept and/or use that name. The American Standard Version of the Bible uses Jehovah throughout the Hebrew Scriptures, or OT. Why would God suddenly say not to use his name after Jesus’ earthly ministry and as I pointed out previously Jesus used his Fathers name. RE; remarks above. Are there books that can be ordered from a Book Store i.e. Barnes and Noble, rather than downloaded on to my computer. YHWH. The purpose of the gospels is to depict him as the Messiah, the Son of God. The gospel writers never viewed him as God or part of a Trinity. This concept took hundreds of years to evolve and is now projected backwards onto the texts. People can believe this if they wish, but it is NOT a Biiblical teaching. Maybe one should like to read, if interested, Colossians 1:15-(23). Also John 3:5-21 and John 14:7-11. You may think that after reading these passages, that I believe in the Trinity. You would be right in thinking that. I fully trust and believe that Jesus is the only God. The well known scripture at John 3:16 verifies this and Colossians 1:15 -17 backs this up and in fact states that Jesus was the FIRST BORN of ALL creation and through Him ALL other things were created. We can see that Jesus had a principle role from the “beginning” of time. Jesus was not created, the beginning of the gospel of John states in the beginning was the word and the word was with God and the word was God the same was in the beginning with God ALL THINGS were made by him and WITHOUT HIM was NOTHING CREATED THAT WAS CREATED AND MADE. In explaining the eternity of Jesus we can read from proverbs 8 where Jesus is likened to wisdom. He says in verse 22-30 things like…the Lord possessed me(wisdom/Jesus) in the beginning of his way BEFORE HIS WORKS OF OLD….I was there from everlasting, from the beginning before there ever was an earth…when he established…then I was BY HIM AS ONE WHO GREW UP WITH HIM, I WAS DAILY HIS DELIGHT REJOICING ALWAYS BEFORE HIM. Jesus is the wisdom of God, the master craftsman there has never been a moment when God was without wisdom.He was there in the beginning of God’s way and we don’t know what His way means but Jesus was there anyways.Colossians 1:17(verse16 is also recommended) he is BEFORE ALL THINGS and by him ALL THINGS are sustained. JESUS says I and my Father ARE ONE. Jhn10:30 and many other like verses. Topics like this one are understandably confusing because of the amount of information not revealed to us but we can make maximum use of what is revealed already on the topic. Colossians 1:15 clearly states that Jesus was “…..the first born of all creation…….” and Revelation 3:14 backs that up when it points out that Jesus was the beginning of the creation by God………this then puts credence to the words of Genesis 1:26 where it says that God said, “…..let us make man in OUR image” (upper case letters are my means of emphasis)…..also when Jesus said that he and his Father were one, he was not saying that they were one and the same personage, or part of a “mystic” trinity but, that their thoughts and purposes were the same, especially with respects to God’s kingdom which was the basis of Jesus’ teachings when he was on earth as a human. 1 Corinthians 11:3 it clearly states that the head of Christ is God……no equality mentioned! Philippians 2:6-9 says that Jesus did not consider himself to be equal to God, this also explains how Jesus, when on earth as a perfect human, often prayed to his Father in heaven and that God, after he resurrected Jesus, exalted Him above everything else. IF Jesus WAS God, as you seem to imply with your trinitarian views, who resurrected him after his sacrificial death?? John 3:16 calls Jesus God’s “only begotten” son, which means he was unique in that he was the only direct creation of God……..as Colossians 1:16 says that ALL other things whether in heaven or on earth were created by Jesus. See also John 8:28, 29 God sent Jesus to the earth so that at some time in the future the ransom sacrifice could be applied to redeem mankind from Adamic sin. Damien do some research on Constantine the Great (NOT so Great) and you will find answers to some of your questions. I know what you say is truthful. There are the masses who believe more at the minister of a church than actually seeking for truth by just start reading the bible they so proudly confess they own one but never took the time to read it or have any idea how it came to be. I had event in my life that set out seeking the truth. “my people will perish due to lack of knowledge”. The Book of Leviticus states Jesus is the direct prophet of the great and wonderful God. God created Jesus in great mercy of teachings and miracles.He was sent to uncover the deceivers and those preaching the most impious doctrine. Biblical interpretation. It’s helpful to know the bible is a series of letters written between different people that we are to learn from. Each letter had an intended audience, and a certain culture, temporal, and geographical context in which it is set. without context you don’t get the word of God. You get legalism and false doctrine. He was a pious and devout rabbi (teacher) who urged his Jewish brethren to carefully follow and observe fully the moral teachings of the divine Torah. He did not proclaim or consider himself to be of divine oneness with Almighty G-D. He was also an activist who opposed the brutal Roman occupation and denounced the emperor’s claim of “divinity”. He proclaimed that worship was due ONLY to the ONE true living G-D (creator and master of the world). For this “crime” he was denounced as a traitor and brutally murdered by the Roman overlords. He was not a “Christian”. The first Christians were a small group of devoted followers who subsequently deified him to soothe the agony of their loss. He was of the greatest of MEN who followed in the path of the Patriarchs, Moses, and the Prophets of G-D. Together with them he proclaimed divine Torah ethics and morality to our suffering world. Have you seen the Aramaic Bible translation by Dr. Lamsa? Anyway, I’m also still looking for where HELL comes from. Where the TRINITY comes from. And whether Jesus told anyone to start a Church. I think he did not. It’s nice to know that there are people who acknowledge the truth. Perhaps Constantine is a good place to start, you can then work backwards and forward in time to see where many of these false doctrines emanated from, and how many still continue to permeate the main churches today, e.g. trinity, hellfire. infant baptism, etc., etc. More importantly, which I might add, you appear to have omitted, is the fact that Jesus was the son of God and that he was a perfect man – he had to be perfect because God required the sacrifice of a perfect human to atone for the sin of Adam, who was created perfect. Jesus fulfilled the Law and with his sacrificial death he nailed the Law to the stake as well…..or in other words he fulfilled the Law, and it was not longer in force. After his death disciples of the Christ became known as Christians, however Constantine – the NOT so Great – made a mess of true Christianity with the introduction of many pagan beliefs with such doctrines as the trinity, hellfire, the celebrations of christmas and easter, etc. ……and what about ALL the other names recorded in the Bible, e.g. Jeremiah, Jonah, Ezekiel, Zechariah, etc., etc……we do not call these Bible writers by their Hebrew names, and of course there are a plethora of other names contained in God’s word and we do not attempt to call them by their Hebrew names…….why change when the widely accepted names for God and His son are Jehovah and Jesus Christ, respectively. Jesus did exist and was the son of God according to the scriptures. If we doubt this , we are not true Christians , because this would say that Yahweh is a lier and that would be blasphemy of the Holy Spirit. Read your bible and believe in god’s divine wisdom. Why are we mixing Jesus and Yahweh .and who has the power to change Yahweh’s name to Jesus .The bible is confusing but the scripture says seek the truth and you will found it. Who has power to change yahovah’s name to GOD.? Good question but who will answer . I which Constantine was alive was gonna take him to the world court. Whilst Constantine “set the ball rolling,” so the saying goes, the thought that Jesus and God are the same personages, is rife today in all main line religions of christendom – all thanks to the false, pagan doctrine of the trinity. Stephen, you should really give away reading fairy stories, you would get more sense,and truth from God’s word. So why is the original jewish name ‘Yashua’ or ‘Joshua’ silenced from the public? Huh! Christianity Lives because God (Yahweh) deem it so, Satan is a Lier. I can refute everyone of these “theories” in detail, in matter of minutes. Apparently these so-called “scholars” don’t do their research. I guess one their main problems is that they do not take the Bible for what it is…….God’s Word…….most take at face value, what other people think, rathert than what the Bible says. Of course Jesus married. Prof Eisenman has already demonstreated that Mary and Martha Boethus were the Bethany sisters. And Mary of Bethany is nearly universally acknowledged as being Mary Magdalene. Yet the Talmud clearly states that Mary Boethus of Bethany married Jesus of Gamala – the biblical Jesus. She then bought the position of high priest for her husband, which is why Hebrews 7 says that Jesus became high priest (even though he was not a Levite). Perhaps you can see the problem here, and the reason why the Church distanced themselves from this analysis. Mary Boethus of Bethany (nee Magdalene) was the richest woman in the Near East, who had a dowery of a million gold denarii. She had a perfume allowance of 5,000 denari (from which she bought some spikenard) and her bedspread was worth 10,000 denari. Yes, she was a billionaire, in modern money. This analysis paints a very different picture of New Testament events. Ralph, what you have stated is not proven and in fact is wild nonsense which has been revealed as such by many scholars. Gnosticism lives! I am amazed that Christianity succeeded as it did, proclaiming the living Christ these twenty centuries and yet detractors and complainers and critics passionately seek to deny, distort, or decry the image of God and of Christ. God have mercy, Christ have mercy, Lord have mercy! Thank you for your eBook. It looks great. The warning contained at Colossians 2:8 certainly applies to Gnosticism…….it intertwines men’s philosophies, speculation and pagan mysticism with apostate Christianity………………certainly, NOT a good mix for any person seeking the truth on spiritual matters. Wow, almost every single comment so far is wacky. Makes me appreciate the task of early Christianity as it negotiated the gnostic heresies and personal hang-ups to present the Gospel of Christ. Let the written word about Christ be the Word made flesh, which dwells among us. “Jesus”, Never Married. ‘Period’. Jesus Was All Spirit, With A Flesh Covering At Birth. A Handmaiden Came Into The Cave And Saw, “Mary’s Place Of Birth After The Birth Of “Jesus” And Said “Lady Mary”, You Are Not Like The First Woman Eve Down There, “Mary”, Answered As My Son “Jesus”, Is Not Like Any Man Down There, His Mother Is Not Like Any Woman Down There. “Jesus” Could Have Turned A Normal Woman Into A Spirit Form Of Woman With A Flesh Covering Like Himself But This Did Not Happen As We Know Of, There Is No Record Of Marriage To Anyone By “Jesus”.. I have been a student of Jesus for close to eighty years. I have been a follower of Jesus for about half that. When I finally stopped looking at Jesus as God and started to follow the man, the teacher, the Rabbi, I found my deliverer. Reread the gospels, find the man instead of the God, leave the religion to the religionists and God to the spiritually bankrupt. God will take care of them. Those of us that have found the living Christ are given the face of God, and need no help. Leave the arguments to the politicians and Religionists! No arguments are Necessary. Concerning the literal face of God the apostle John, at John 1:18 said that no man has seen the face of God at any time, and Exodus 33:20 said that no one could see the face of God and live. Therefore if this was not meant to be literal, could you please direct us to the scriptures where this is pointed out or allude to. I would love for everyone stop describing jesus as a white man or his mother as a white woman…. Once this lie get told right any story you all tell about the man won’t be truth… & if his color really doesn’t matter then why not show it. The Holy Bible states that there should be no image of any Holy Ones picture on Earth. That picture that they call ‘Jesus ‘ is not a picture of our Saviour, the Son of the Living God according to true facts. …….and look in the churches of christendom – idolatry is alive and well!!! I explore this very question through the lens of anthropology at my blog Biblical Anthropology. The question should be “Who is Jesus?” if we are to understand his identity. This is the basic answer. Dear Rabbi Yeshus bar Yusef of Nazareth, I am inspired by your teachings and parables in the synoptic gospels and I admire the way you regularly submit to Yahweh. I don’t like what the gospel of John did to your story. Jesus told the rich man “If they do not listen to Moses and the Prophets, they will not be convinced even if someone rises from the dead.” He did! He was right – they don’t. May unbelievers read and hear and pray that God will open their eyes. What was being said here, and in other examples where the resurrected Jesus appeared, people did no recognise him by his looks, but, by his actions. If you don’t know the reason why Jesus could be born in Bethlehem and yet be called a Nazarene and a Galilean perhaps you should read the Gospels. The Gospel writers themselves answer that question. Of course, you would have to believe that the Bible is God’s Word in order to believe the books in the Bible are accurate. It is obvious that the writers of many of the BAR articles and authors of many of the BAR recommended books do NOT believe the Bible to be the Word of God but a product of biased history at best or human fiction at worst. Read the Bible. Believe the Bible. Ask the Holy Spirit to reveal the truth to you. It’s in there. Cast BAR aside. fruitful discourse,it is the Truth that will set us all free,So i ask this question to those who are more knowledgable on this matter!, Who is Jesus? Interesting also in John 1:1 it says the Word was with God……if the Word was with God, the Word could not be God……..hence the incorrect translation of saying that the Word was God……..it should be……the Word was a god…..then the rest of John 1:1 makes sense. Please help me to understand. It seems most of the writers on this blog are highly knowledgeable about ancient text and biblical facts regarding the bible and The Christ/ Lord and Savior, including his country of birth, language, and culture; however, when he is being addressed, he is not called by his ancient Hebrew name, but by a name that historically did not exist until during or after the 1600? Visit https://bempillar.blogspot.com you will see I did a small write-up on the divinity of Christ, strictly basing on scriptures. I wouldn’t add a thing to what Suez and Sheila said and the lot that are on the side of Truth. May God’s light never cease to shine in you that you who don’t believe will believe. Thank you my Christians friends who believe that, Jesus is the son of God, Those opposing need salvation to connect them self to God order wise they are doom for hell for all eternity. see John 1: 1-5. in the begging was the word and the word was God, he was with God in the beginning, through him all things were made, without him nothing could have been made. he his the light that sign in darkness and darkness obey, my prayer is those darkness in the heads of those opposer will see the light of Christ. The same word became flesh and dwells among men. To lack knowledge of the misery of the Name of Jesus is sickness and death. God help them to see the light. The bible said, the God of this world has blinded the eyes of men, from the truth. Satan wants to go to hell with foolish men without the knowledge of God and that is why their eyes have been blinded with fake philosophy. Jesus said no one cometh to the Father except through me, no bypass. The name of Jesus is powerful, Satan fall at the name of Jesus, sickness bow at the name of Jesus. Tell which name the devil fears, all other names are powerless names, except the name of Jesus. in Philippians 2:9 the bible says, he has be exalted and a name has been given unto him, at the mention of that name, every knee shall bow in heaven, on earth and under the earth. Glory be to God. Not quite sure where you got that information from, it certainly was not from God’s word. Ecclesiastes 9:4, 5, 10, very clearly points out that the dead know nothing at all and, this scripture, also shows that you do not have some sort of spirit, that goes flitting around the place. Once you are dead you return to the dust, from which you were made. The Bible teaches of a resurrection of both the righteous and unrighteous into a paradise earth, (Acts 24:15) and Jesus when on earth displayed, in a small way, the power that he had over death by resurrecting three persons. 1. Jairus’ daughter; (Matthew 9:23-25) 2. Lazarus; (John 11:20-44) 3. The son of the widow of Nain. (Luke 7:11-15). This was showing what Jesus will do on a grand scale during his 1 000 year reign as King of God’s Kingdom. Elijah performed the first resurrection recorded in the Bible, this is found at 1 Kings 17:17-24 when he resurrected the son of the widow of Zarephath., Peter resurrected Tabitha (Dorcus), also Paul resurrected a young man named Euʹtychus. The Hebrew word “Sheol” and the Greek word “Hades” are translated as hell in many Bible translations……….to prop up the unscriptual doctrine of the “immortality of the human soul”………….when you look at the correct translations of those two words…….they both mean the common grave……where you go when you die and return to the dust……..awaiting the resurrection during the 1 000 year reign of Jesus Christ. I like BAR for the review of the Bible in a Historical perspective and be able travel thru the land JESUS walked or rode on a donkey virtually. 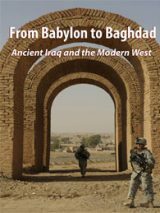 My time to really be interested in the Bible and Biblical History is when the IRAQ CONFLICT started. NAMES: BABYLON, UR, NINEVA,TIGRIS, EURPHATES RIVERS, GARDEN OF EDEN, MT ARRARATE, DESTRUCTION AND THEFT OF ANCIENT ARTIFACTS. My wife and I were married 55yrs, She went home along with our son to be with our Lord, Our son in 2005 and my wife in 2014. I’m now 81yrs old and in great health. I’ve gone to several ENDTIME STUDIES AND CLASSES. Collected many event and Historical timeline charts. My most favorite one is a 4,000yr BIBLICAL AND WORLD HISTORY timeline chart. It starts with ADOM and EVE thru 2014 with thousands of events along with BIBLICAL referances on 90% notations. It is a great joy read and follow Our LORD till He comes. Jesus was indeed God but came to the earth with human nature through virgin Mary to demonstrate His endless love for His creations and as we exhibit His Love for others and to Him we may have salvation. I believe His mission was to save His kind but to marry so He did not marry. You may believe that Jesus is God, but it certainly is not what the bible teaches. At John 1:1 in the original Greek text (the verse in many translations say that the “Word or Logos was God”), but that is an incorrect translation. If you got a word for word translation from Greek to English you will find that the word was “a god,” NOT “God”………….by using the correct translation, this the ties in with verse 18 of the same chapter which clearly points out that “no man has seen God”……….if you think that Jesus IS God it means that verse 18 is incorrect, but of course it is correct. Philippians 2:6 also shows that when Jesus was on earth, he did not consider himself equal to God………Jesus even prayed to his Father in heaven -God………why would he pray to himself………or one could ask once God had put himself in Mary’s womb and stayed there for 9 months……..where was God???? PS. ……and another point: If Jesus was God, when Jesus was put to death WHO resurrected him??? “THE Roman Catholic Church states: “The Trinity is the term employed to signify the central doctrine of the Christian religion . . . Thus, in the words of the Athanasian Creed: ‘the Father is God, the Son is God, and the Holy Spirit is God, and yet there are not three Gods but one God.’ In this Trinity . . . the Persons are co-eternal and co-equal: all alike are uncreated and omnipotent.”—The Catholic Encyclopedia. This is not what the Bible teaches, I have looked at several translations of the Bible and cannot find the word or any allusion to trinity…….I guess that is why it is such a mystery!!! The Bible clearly states many times that Jesus is the SON of God. So many “Christians” today follow the doctrine of men, rather than what God’s Word has to say………..Jesus said to the religious leaders of His day that they taught the commands of men as doctrine…….this has not changed much today. ……..and I guess that is why on several occasions Jesus refers to God as ‘my father,’ or ‘our father’…………Jesus addresses himself father????? I think not. You do really need to look into God’s word to find the truth. Also are implying that Mary was the mother of God……..interesting thought……..when was Mary born (to the closest century will do! )………and Genesis 1:1 says that in the beginning God created the heavens and the earth……….and that was possibly millions of years before God turned his creative activities to the earth……..Mary must have been quite old when she gave birth. Wow, am shocked to know that there are still people who don’t believe in God and Jesus. Jesus is real, he actually came and will come again. He came the first time to give us life- He said I came that you may have life- He will come a second time to judge the earth, by then it will be too late to make any decision. Today while you still have the time, choose Him, give your heart to Christ, He loves you so much He gave up His life for you. Bem, acreditar na divindade de Jesus é uma questão além de histórica, muito mais de fé. Ele, Jesus, o Filho de Deus, disse: Bem-aventurados sois vós que não viram, mas creram! Isso é fé. Eu não fui um dos discípulos de Jesus: não andei com Ele, meus olhos não o viram, meus ouvidos não o ouviram, meu nariz não sentiu o seu perfume, minha mãos não O tocaram, mas… Hoje, como filho de Deus, através de Jesus Cristo, posso andar com Ele, posso vê-Lo, posso ouvi-Lo, posso sentir o seu perfume e posso tocá-Lo. Isso é sobrenatural! Enquanto escrevo estas singelas linhas, posso sentir sua presença aqui comigo. Eu te amo e sempre te amarei, YESHUA MASHIACH! Jesus in English or western languages is the Yesu in Eastern languages, and this Yesu is the Lord who will be called Christ when he comes to earth after several thousand of years after the judgement of world.The Jewish people now study Yesuvites without knowing he was the Christ. It is not who was Jesus it is who is Jesus. Thomas the disciple of Jesus cried out; “My Lord and My God” when speaking to Jesus and Jesus never corrected him. Jesus accepted worship and in Revelation chapter one Jesus calls himself the “Alpha and Omega, the beginning and the end” which are names solely attributed to God in the Old Testament. For a very thorough study on the deity of Jesus Christ I suggest that you visit the following page – http://www.crlord.com/the-deity-of-jesus.html There are many scriptures and a lot of information there that conclusively prove he is God for those who are able to be objective in their research instead of objective or opinionated. Do you have a problem reading, Rick………I ask this because at Revelation 1:8 is says that it was God who called himself the ‘Alpha and the Omega’ not Jesus……again at Revelation 21:6 the expression occurs again……..and again it refers to God, not Jesus. Please Rick, do not rely on what so called scholars say, its what the Bible says that counts…….and the Bible clearly states that Jesus is God’s son……John 1:1-3, 14; John 8:42; Romans 8:3; Galatians 4:4; 1 John 4:9-11; John 3:16; 1 John 4:9; etc.,etc. After reading just some of the above comments I am more convinced that some people should never read the Bible ,as they only find lies in truths. Their minds are just wired for hatred against anything loving! It very probably includes the the influence of humanism and evolution –satans tools !. There angels and demons, for those who don’t believe Jesus is God in person then you lack the spirit to understand. In the book, Alien Interview, the alien (angel) stated the Bible is true… Who would you be if you don’t believe the alien from August 1947? Whether you believe or not you are at the mercy between God and the Devil, only Jesus can save you and protect you. There is a huge difference between the prophets of Old Testament and Jesus Christ, He fulfills all prophecies that were written down about the coming of the Savior, Healer, son of the Most high, the crucified and 300 more..
C, for the guys who are not convinced, if you have faith as small as a mustard seed, you could move mountains, one day you will see a small spark of that light and then I hope you wil get to believe before its late. one has to make a decision and a choice where your destination will be ! Why do people get on these forums and forget how to use basic grammar and punctuation skills? All I know, is that I love God. I appreciate all that he has done for me and my family. Only 1 God not three.. father son and HolyGhost are tittles not names..Acts 2:38 .. no where in the Bible anyone baptized in the name notice name is singular not plural of the father son and HolyGhost their titles not names. Jesus was. God in flesh u must be born of water and of the spirit to enter into heaven. That is being baptized in Jesus name and being filled with the Holy Ghost. One’s belief is mainly originated and encouraged from childhood education as well as how being brought up in a family. Buddha was born 543+80(his age)= 623 years before Jesus. It was a way of life and truth in those days , especially in the very distant and primitive area where people did not have a guiding light of their souls, that Buddha could completely find out a way to approach near Go(o)d. Since no one else nor he knew the true God over that time ( though he was trying to find out about goodness), it was not wrong to him to preach or spread his ideas to his followers and finally became Bhuddhism which has been a chief religion for the east Asian. No one ever introduced true God to Bhuddha. The only difference between Christianity and Buddhism is on ” knowing and not-knowing God”. Bhuddism teaches about the same way of good life as of Christian , mainly about forgiveness, peace, adultery sins, clean minds, getting away from passion, being satisfied of sufficient life , doing no revenge and many more. It is totally right for people in this area to follow him even now and then. Some said that if Bhuddha was born after Christ and if he knew how Christ taught , he would not need to meditate for tens of years to find out what he needed. About Islam, there is a dispute between Christ and Mohamed. After Christ, in Christian belief Jesus is the only son of God who is the supremacy to deal with the world. After him, there should have not been any other prophet to convey any other messages from God. But one thing we have to keep in mind, why Ishmael who nearly died in the desert after being expelled by Sarah/Abraham was saved by God and became the ancestor of Arabian. They are like brothers to the Jews having the same belief until Mohamed declared Islam as the only true belief about 4-500 years after Christ. And now, the number of Moslem population is the most in the world. I myself who completely believe in God I am Catholic, in my view, I think we do not know exactly how God plans for the world. If Bhuddhism and Islam are not of His plan, why He has let these religions have such evolutions for 2000 years? We can see from history and bible that those pagans’ beliefs in gods and godesses in the Greek and Roman empires just vanish after their periods. What have made conflicts and fights between religions and beliefs are about blaming each other. Ones always claim their religion is the only genuine one while the others are fake and try to force the other sides to convert. We know from history how many millions were killed in the conflicts between Catholic and Protestants. They both believe in the same Jesus but do not do what he taught about love, mercy peace and forgiveness. Who is going to heaven or hell is not by anyone’s judgement but it is only God who will consider and judge one’s deed. For what if we can convert the others but need to kill or make war? – Why Protestants always blame Catholics about having faith in Mother Mary? Is she that bad or disgusting to mind her like that? How great distress on her seeing the son on the cross? Protestants should focus on what Jesus taught. He said we should not judge but leave it to God to do this. Me as a Catholic, I never mind a Protestant for not giving respect to Mary. I know the reason and respect the Protestants’ idea. What affair of the Catholics, leave it to the Catholics. It is not the issue of Protestants. – For the Catholics, we must remind ourselves that we were the real motif of breaking Christianity into pieces. We cannot deny that the history of Catholic Church was committed to great power and politics of Europe. The church oppressed and forced Christians in order to secure its power with the politics. They eliminated and killed millions who had some different ideas or opposed the wickness in Vatican over some high ranking priests. Unbelievably, they had killed innocent people with the cruelest methods that human could invent. Did Jesus teach us so? So, stop blaming or forcing each other. God gives us freedom to choose what we need to and who we are to be a judge instead. Going to heaven or hell is upto one’s deed and God’s judgement. When talking about other beliefs, let us talk only about their nice issues and leave all the offensive remarks or questions behind. By the way, let us do best on our beliefs and respect the others. I think Jesus will be happiest to see his people in such a way. Seuz, please don’t disparage Roman Catholics, nor infer that “your” Jesus is different from “our” Jesus. Just go and do some historical research of the 5th through 12th Centuries, and learn something. There is only one Jesus, Son of God. Jesus aka Yeshua aka Jesus ben Panther aka Jesus the Nazarene, was born in 100 BCE in Jerusalem and died in 67 BCE in Jerusalem. To suez. No , if you don’t believe in jesus you will not fry. Instead, after the resurrection you will go to school. You will be taught by teachers that were being prepared in the pass and here in present to be resurrecited in spirit to teach you God’s truth without pagan interference. Those who are to be taught will be brought back in the flesh, and be transformed into spirit and brought into Gods family when they truly understand and convert to God’s way. He does not want any to risk eternal death, but some will still turn their backs on God and his way of life, those will not burn forever but will be left in their flesh form to be consumed by the molten state of the earth as it is being redone. The smoke of the cremated unrepented will assend forever, not the person or their consciousness. God will not cause suffering and pain on any forever. Their ashes will be trod upon by the saints. I shall send Photo and writing of Last Supper on old News Paper collected by my Late Father Sachindra Chandra Acharya .Since I studied in Metiabruz Church Primary School Garden Reach in year of 1960. It is not my intention to upset anyone, I just wish to leave MY opinion about Jesus. I believe Jesus was a Son of God as we all are, Children of God. We all have birth Fathers though and Jesus had Joseph. Jesus was, compassionate, faithful, a wonderful healer and a true Blessing to many. I also believe Jesus was in some kind of relationship with Mary Magdeleine, whether it be marriage or not, it doesn’t matter. Jesus also told his followers that “you too can be like me”. Everything the Bible states is a matter of someone’s interpretation so I think we can choose to take from it which parts we feel is right for us as individuals. I believe I am a Child of God therefore Jesus is my Brother and I DON’T think saying this is blasphemous. I also do NOT believe Jesus had white skin and blue eyes. If he truly was born in the area it states in the Bible, then he would have tanned skin, dark hair and eyes. This is only my opinion and belief and I know I’m not damned to hell for believing this. It’s amazing how much negative vibes I receive in all these comments! I thought that following the go(o)d word was a moral and social basis for all societies, including those who follow the Pentateuch. Let’s be positive, please! Jesus, ‘Son of God’ is a term or relationship presented to humans because that is the closest thing they will understand in the 1st.century AD. However it is not entirely like human relationship. Every aspect of Jesus’s life has two sides- Human and Divine. When He cried for Lazarus; He was fully human but when He called out from his grave He was fully Divine! It has been found in incidents. Interesting thing about Christianity and Jesus Christ is the puzzle is completed with every bits of information whether Archaeology or History, Linguistic or Textural. More you search; more you find things vindicating ‘The Bible, Jesus Christ and Christianity than any other religions. All other religions are nothing but myths and pseudo information and are ideology intolerant to others. Hinduism is only religion still believe in their myths where is Buddhist advocate peace and tolerance but are most cruel and intolerant people on the face of Earth- Japanese, Burmese and Sri Lankan and also Myanmar. Even Tibetan Buddhist punished Christian missionary from India by wrapping them in fresh animal skin and left them in sun to dry and slowly constrict to death. This was done by the highest priest or lama. So Suez is right! Let us all remember that Almighty God is capable of doing everything and anything He wants. He is Creator, Author, and Trinity. We know this through his Word. Everything else is of Satan. Unless, of course, if there is NO god, then its all opinion. Remember, our military members have sacrificed all so everyone is able to hold and express any opinion. So, ‘as for me, I will serve the Lord’. How can anyone speculate on YAWEH’S SON? If you don’t believe thats your choice. choose not to believe. I still love my Biblical Archaeology. All issues! It has taken nearly two thousand years for us to get our minds around the fact that God actually paid a visit to this planet. We are obviously still puzzled by what that means about God, us, the writings that record the event and its preparation, and especially about Messiah Jesus (as the Apostle Paul came to call him). It is quite appropriate that we should be puzzled. For a creature to understand its Creator is like a trained dog trying to understand its master. I believe God wants us to keep puzzling; if we have honest hearts and good intentions we will come to know him, not just about him. And that is the purpose of the visit: he likes us and wants us to spend eternity with him. Suez is 100% correct.And so is Sheila. God Is … and why He doesn’t do philosophical rambling or mindbending. Our God is a God of peace and simplicity and life. ‘The other one’ is a god of chaos, confusion and death.I can’t wait for the second coming of our dear Lord and saviour Jesus Christ.Bring it on! What a bunch of Hooey! If you want to know who Jesus is, simply read the King James Bible. He certainly wasn’t a made up character from Roman Catholicism!!! They have another jesus, and it isn’t the true one. He certainly wasn’t a made up pagan god. More and more the scriptures are coming to pass when people say there was no Jesus. The devil is working hard to do this, and has been since the garden of Eden. But now, he is working harder, as he knows his time is short! He uses people with false beliefs, and their stupid comments. to put doubt and lies in other people heads. Who is Jesus Christ of Nazareth? He is the King of Kings, and the Lord of all Lords. He is the ONLY Begotten Son of the Most High God!!! He is messiah, Savior, the Lamb of God sent to die for our sins! He is the Word of God, the Lion of Judea, He is Alpha and Omega, the beginning and the end, He is the Creator of the Heavens, the Earth, the Sea, and all that is in them!!!! He is the Son of God that was born of the virgin Mary, crucified on Calvary’s cross, raised from the dead in 3 days, and now sits at the right hand of Almighty God, waiting for the Father to say, Now go, gather those who I have chosen and given to you…..THAT IS WHO JESUS OF NAZARETH IS!!!!! He IS Coming again, and gather those who are watching and waiting for him, to gather them to himself, and those who don’t believe in him will fry. Seek him now while you still can . Your pride in your “knowledge” will not get you into His Kingdom. The Bible is true, and Jesus is God. He said so. Mark Is right and wrong. He is right about the pagan things wrapped around yeshua. But it wasn’t yeshua who wrapped a lot of pagan rubbish around him self it was the Christian church take the rubbish away , yeshua was the adopted son of god not god and as for the trinity 3 into 1 won’t go.The Christian church has a lot to answer for, Is it not strange how the Christian church points to the coming Anti Christ in the future but Paul in 2 Thessaloniañs says he is already there but one man holds him back but will shortly be taken away. The early church fathers believed this ment when the last roman emperor was gone the Anti Christ will appear and it did the Christian church. If you want to learn more about the Hebrew Messiah Yeshua vs. the pagan Roman solar deity, Jesus, pick up a copy of “Exposing Lucifer” in Kindle or Paperback versions from Amazon and have your eyes opened. There was no “Jesus”. Jesus isn’t even Hebrew; he is a pagan Roman solar deity comprised of a conglomeration of some 16 pagan deities under the banner of Sol Invictus. Jesus even shares the very same birthday with those solar deities and he shares the same sunrise “Sun”-day easter resurrection with Tammuz. Jesus was first created in the 4th century CE, under the direction of the pagan Constantine, as Iesous, Constantine never converted to “Christianity”, he made Christianity convert to Hellenism. Jesus has nothing to do with the Hebrew Messiah Yeshua and is, in fact, the anti-Messiah, or as Christians call it, “anti-Christ”. Instead of wasting time by propagating a Roman solar deity named “Jesus”, why don’t you research some historical facts about Yeshua? Otherwise you are doing nothing more than parroting the pagan false religious system. Yeshua was Black. I believe that He was married, or at least in an emotional romance with Mary Magdalene. Also, can BAS touch on how Yeshua became Jesus and the impact the Council of Nicea had on Christianity.